Inherited stocks come with tax advantages. 1. Are Inherited Stocks Long-Term or Short-Term Capital Gains? You are not liable for taxes on the inherited value of stocks you receive from someone who died. The estate of the deceased person takes care of any tax issues, and once you have received stock as part of an inheritance, the stock is yours without any taxes due. However, you can become liable for taxes if you sell your inherited shares. Capital gains taxes are paid on investment profits. A capital gain is earned when an investment is sold for more its cost of purchase. The capital gains tax is applied only to the gain -- the difference between the cost and the selling price. For example, if you paid $10,000 for stock and sold it for $25,000, you would have to pay tax on the $15,000 capital gain. In investment and tax terms, the price paid for an investment is called the cost basis. When you inherit stock, the cost basis on the shares changes. Instead of using the cost that the former owner -- the decedent -- paid, your cost basis is the share value on the date the former owner died. This "step up" in cost basis can be a tremendous advantage if the shares were purchased at a low price and have increased significantly in value. As an example, the person who left you the shares paid $5,000 for them. On the date of death the stock was worth $50,000. Your cost basis is the $50,000, and the $45,000 gain from the original purchase will not be taxed. You do not have a taxable capital gain or loss until you sell your inherited shares and have a realized value from which to calculate whether you made a profit. If you sell the stock for more than your stepped-up basis, you have a gain equal to the sale price minus the basis. If you sell it for less than your inherited basis, the result is a capital loss, which you can use as a tax write-off against other investment gains or other income. You report a capital gain or loss on your income tax return for the year the inherited stock was sold. 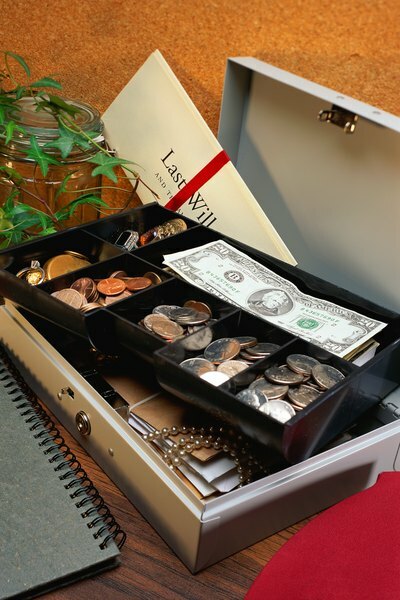 If the decedent's estate executor filed an estate tax return, use the value of shares reported on the tax return as your cost basis for the inherited stock. If no estate tax return was filed, you can find the stock's closing price on the date of death through historical share price information on Yahoo Finance and Google Finance. Gains from the sale of inherited stock are classified as long-term capital gains, even if you sell the shares shortly after obtaining them. The tax rate for long-term gains is lower than the rate on short-term gains or your regular income tax rate.